After years of paddling, hiking and traveling together, Jack Drury and Doug Fitzgerald have joined forces to form Broadwing Adventures. Our goal is to share the joys of canoeing, kayaking, and hiking with others and provide safe, fun, environmentally friendly adventures. We invite you to share time with us exploring the wild lands of the Adirondacks and consider traveling with us to other remote locations throughout North America. 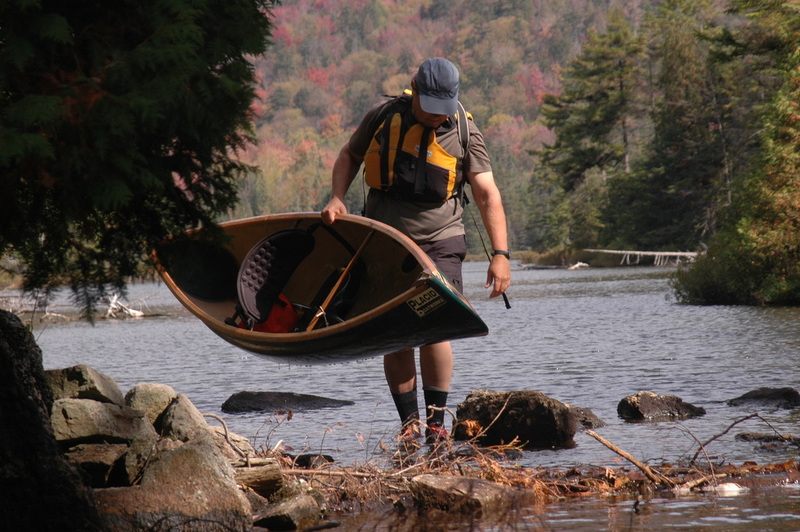 Doug using a light weight canoe to access a remote pond. If you are hiking the Northville Placid Trail and ending or starting your trip at Lake Placid we are available to help with your transportation needs. Check out what we offer. 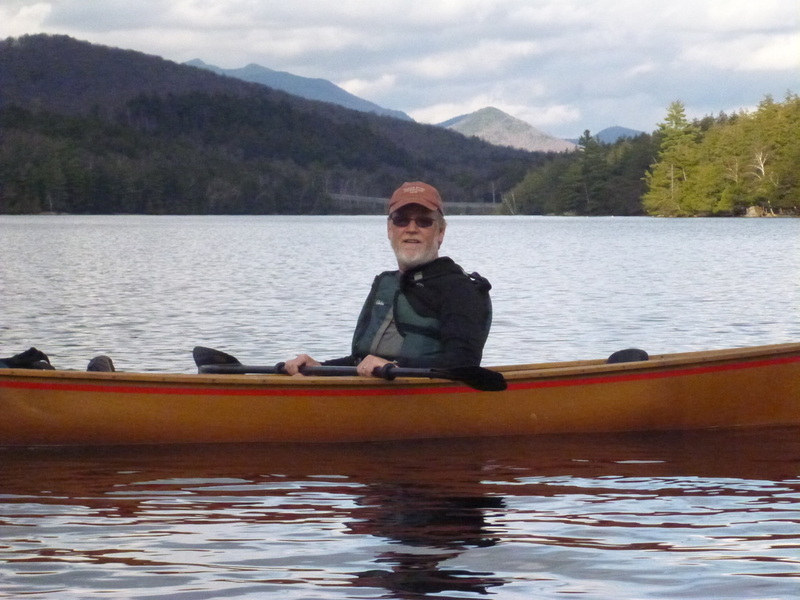 Why hire an Adirondack Guide? 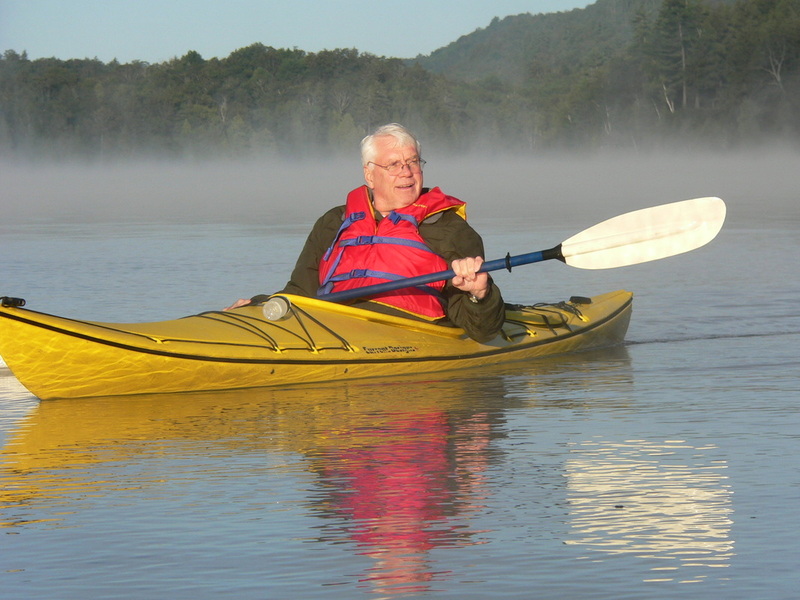 An Adirondack Guide has gone through a testing and certification process to become licensed by the State of New York in order to provide you with a safe and enjoyable outdoor adventure. A guide has unique local knowledge of where to go, when to go, what equipment will provide you with the best experience. A guide spends years gaining experience and knowledge that can make the most difficult situation successful. Arguably the number one reason to hire a guide is to make the most of your valuable time. Time is a scarce commodity and you don't want to waste yours. Let someone else put in the time and effort so you can arrive and just enjoy yourself. Whether you want to spend a half day or two-weeks your time is precious...use it wisely. A guide will share their knowledge of the area, the wildlife, and the natural and cultural history adding immensely to the enjoyment of your venture. the experience to handle emergencies of all kinds. Doug and Jack have been working in the outdoors their entire careers. They have been leading and teaching others in the outdoors since 1974. Doug and Jack have few peers when it comes to knowledge of and experience in the Adirondack Park. While they learn something new about the Park every day, they have traveled throughout it and spent more nights in the field than almost anyone else. Doug and Jack aren't just guides, they are teachers. Both have taught Outdoor Recreation at the college level for many years and know how to help people learn about and love the out of doors. Doug and Jack have traveled throughout North America on canoeing, backpacking, x-country skiing, snowshoeing, and mountaineering expeditions. Put their experience to work for you and make your next visit to the Adirondacks your best visit. If you want to get outdoors but don’t have the time, skills, confidence or desire to pull it together, come with us. Broadwing Adventures gets you out NOW. You'll visit places you can come back to explore on your own. You'll develop the skills and confidence to plan your own trips. Helping out and learning on a Broadwing Adventures venture is like apprenticing for your next trip. 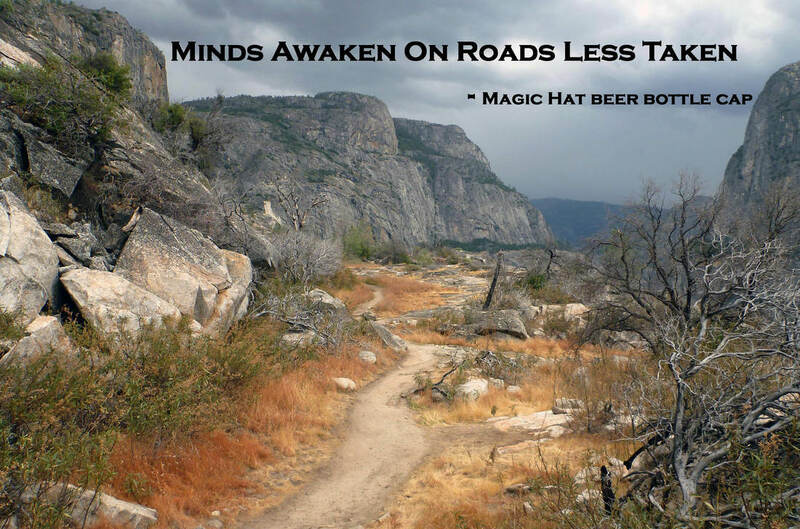 Call Broadwing Adventures now, show up and have the time of your lives. 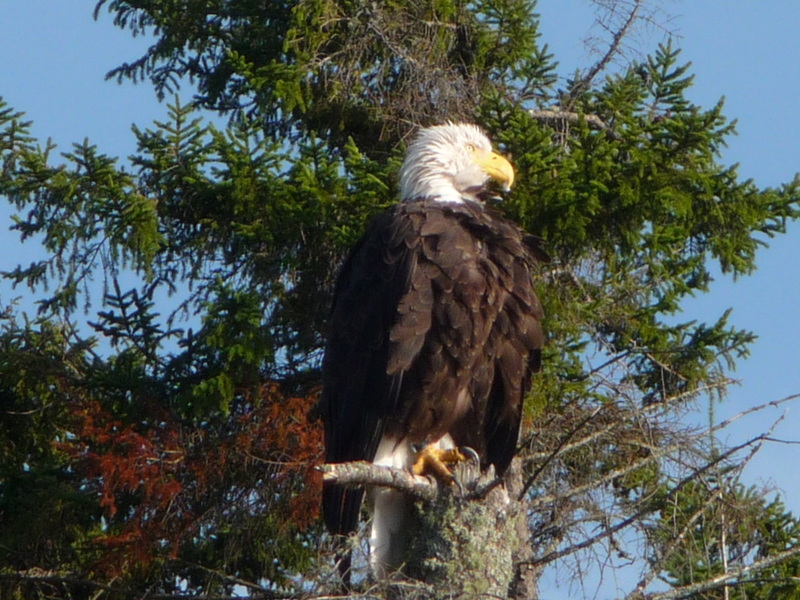 Eagles are often sighted while paddling Adirondack waters. Broadwing Adventures is a partner of the Adirondack Forest Preserve Education Partnership (AFPEP) and strongly believes that recreation plays an important role in all our lives. When we travel in the outdoors we follow Leave No Trace (LNT) principles. This Site is updated often, take a look around and let us know what you think. We appreciate hearing your suggestions.